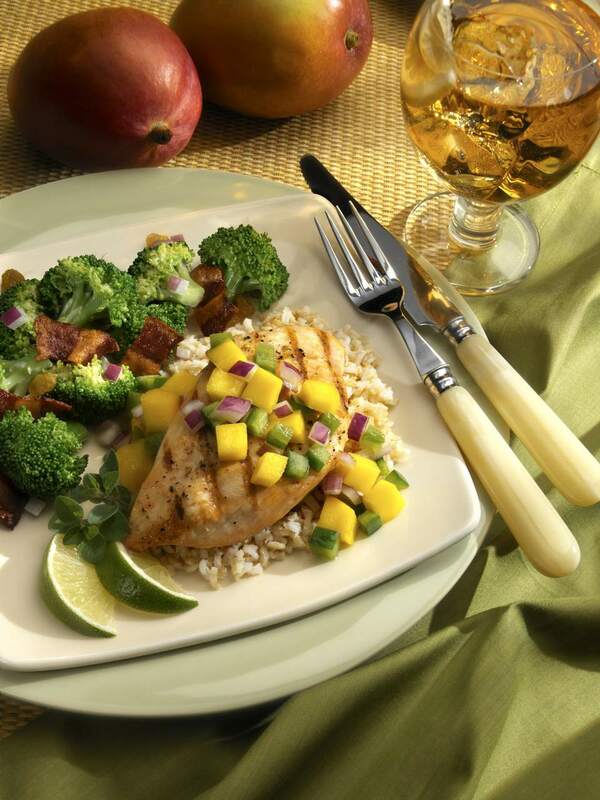 Mangoes, ginger, garlic, and soy sauce make a delightful sauce to spice up bland breasts. Be sure to use ripe mangoes for best flavor. Serve with green veggies and rice for a full meal. Heat the oil in a heavy frying pan. Add the garlic and saute for a few minutes. Then, add the fillets. Cook for about 15 to 20 minutes until the chicken is cooked through. Meanwhile, in a medium-sized bowl, combine the mango with the sugar, cloves, ginger, and nutmeg. Pour the mixture over the cooked fillets and gently mix to cover the chicken pieces. Add soy sauce, salt, and pepper to taste. Cook for about 10 more minutes. Serve hot with a fresh green vegetable and a side dish of rice.